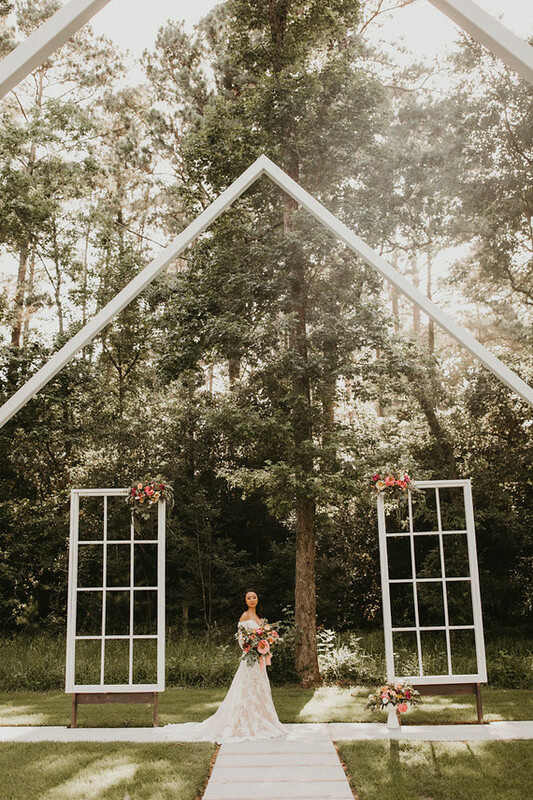 Um, how cool is this modern, freestanding open air chapel" It’s got 30′ soaring white arches and floating glare less windows in a beautiful wooded area on the property. SO COOL! From an open air chapel with floating windows to an indoor reception space built incorporating a reconstructed 1830s barn?there is so much this custom venue offers that you won’t find anywhere else in Texas! Eclectic and bold, matched with vibrant colors makes our hearts sing with joy, and we hope the design below makes your heart soar, while inspiring bride-to-be readers to add pops of color on their wedding day!